Uzbekistni national airline Uzbekistan Airways reports having carried 563,100 passengers between January and March 2017, up 5.1% on the same period in 2016. The shallow climb in traffic may be indicative of a turn of the tide from the past three years of consistently declining passenger numbers. The airline had carried 2.8% few passengers year-on-year in 2016; compared to minus 2% in 2015 and minus 1.9% in 2014. In the first three months of 2017, the number of Uzbekistan Airways’ aircraft movements increased 4.1% year-on-year to 5,211. The carrier’s load factor stood at 75%, but there is no information available about the previous period to compare. The airline also improved its performance in the cargo segment, which has always been its stronger side. It transported 11,100 tons in Q1 2017, or 24.3% up year-on-year. The surge was particularly distinct as applied to the carrier’s purely cargo-configured aircraft, which transported 6,900 tons of freight or 33.3% up year-on-year. 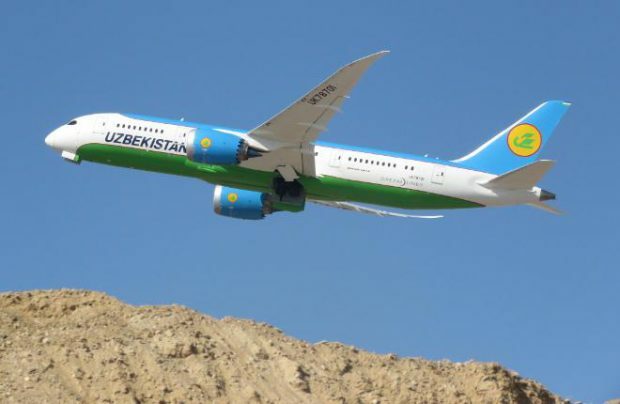 Uzbekistan Airways’ passenger fleet consists of Boeing 787 aircraft (the first two of the type were delivered last year), Boeing 767widebodies, Boeing 757 and Airbus A320 narrowbodies, and also Ilyushin Il-114 turboprops. The carrier also operates two Вoeing 767-300BCF freighters.